Lowes will be offering Thursday, 20% off for Zero and Rewards card holders. 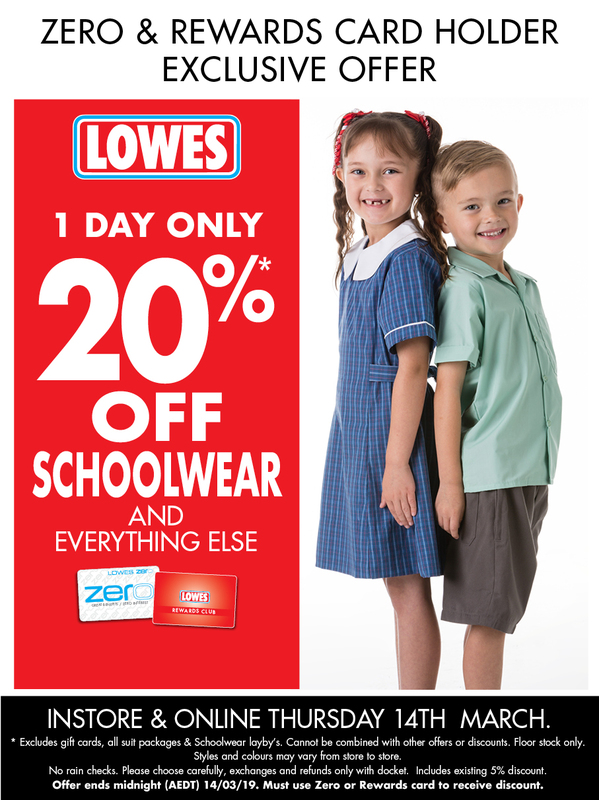 This will include school uniforms and will be available instore and online. Come see the WA Police Force on show, demonstrations and food stalls. Visit www.police.wa.gov.au/Expo for more information. The Western Australia Police Force would like to invite Butler Primary students and their families to the WA Police Force Expo, to be held at the WA Police Academy, Joondalup on Saturday, 23 March 2019. The Expo will provide an opportunity for members of the community, young and old, to get up close and personal with real-life demonstrations, interactive displays and the latest crime-fighting technology on show. Engage with police officers and ask any questions they have about the WA Police Force. Get a behind-the-scenes look at some of the agency’s business units, including Canine Section, Forensic Division, Mounted Section and the Tactical Response Group. Gain a better understanding of the important role the WA Police Force plays in the community. This free family event and will take place between 11am and 4pm at the WA Police Academy 81 Lakeside Drive, Joondalup. BIG W is committed to making books more accessible to all Australian families by giving every child the chance to take home a classic storybook for free when they visit their local BIG W store. A new title will be given away each week for 12 weeks starting Thursday 21 February. 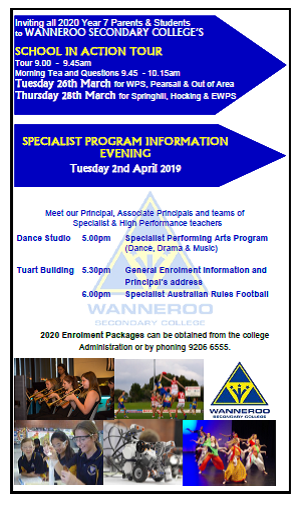 Warwick Senior High School will be holding a meeting for prospective parents who are interested in their children starting their education journey with us in 2020. Warwick Senior High School is now offering all prospective families the opportunity to tour our wonderful school. Tours will be held weekly on Tuesday mornings at 10 am. We invite all interested parents and students to join us and discover what makes Warwick SHS the best choice for your family. To register for tours, please contact our school administration 96240 4400. 2020 Enrolment Packages can be obtained from the college Administration or by phoning 9206 6555. 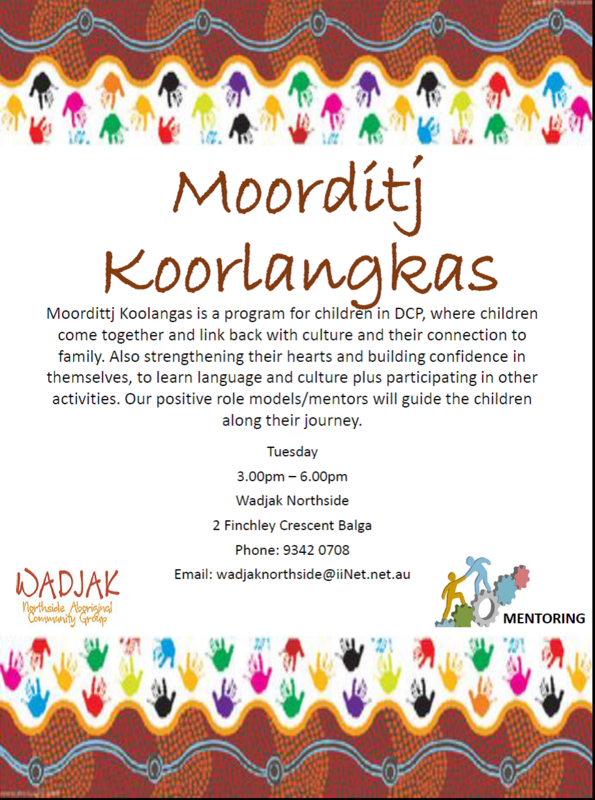 Tree of Life Program, Moorditj Koorlangkas and Mentoring Programs are available at the WADJAK Northside Aboriginal Community Group located in Balga. 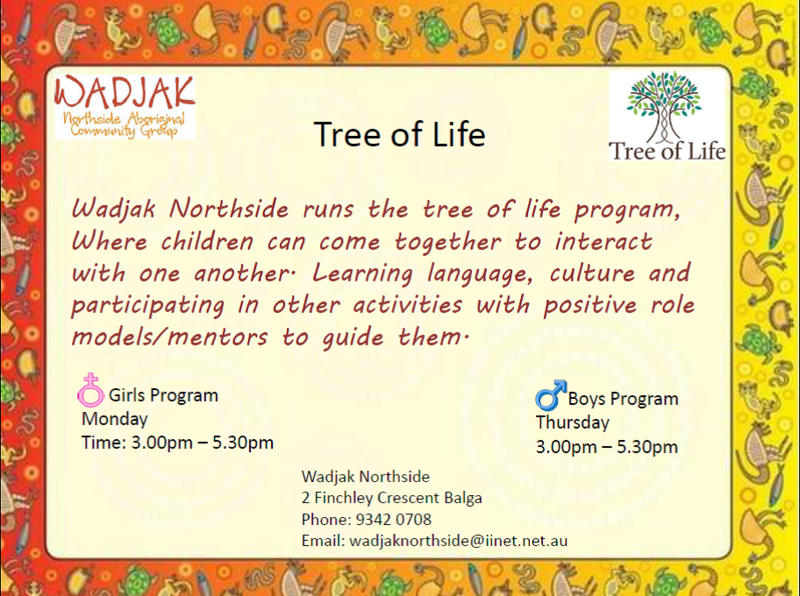 For more information and enrolment/referral forms please contact them on 9342 0708.